Kate Middleton married Britain’s Prince William on April 29, 2011 and is now known as the Duchess of Cambridge. She was known as Kate Middleton when she met the future king while both were studying art history at the University of St. Andrews in Scotland. They became friends while sharing housing with other students in 2001, and began dating in 2003. 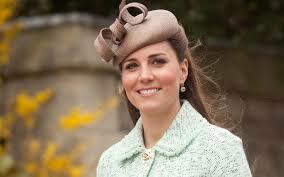 Kate Middleton graduated from St. Andrews in 2005 with a degree in art history. She moved to London after graduation, and in 2006 began working as an accessory buyer for the fashion chain Jigsaw. Her status as a royal girlfriend generated intense media interest into 2007, when she and William ended their relationship. But they reunited later that year, and engagement speculation intensified. On 16 November 2010, the Royal Family announced that Kate Middleton and Prince William were engaged to be married. William is second in line to the British throne (behind Queen Elizabeth and her son, William’s father, Prince Charles), making Kate the likely future queen of Great Britain. The Royal Wedding was held on 29 April 2011, a Friday, at Westminster Abbey in London. Queen Elizabeth announced before the wedding that she had bestowed the title of Duke of Cambridge on William, making Kate the Duchess of Cambridge, and the Queen also gave William and Kate the Scottish titles of Earl and Countess of Strathearn — possibly a nod to their meeting at St. Andrews. Buckingham Palace announced on December 3, 2012 that the Duchess was pregnant with her first child. The child, a son, was born on 22 July 2013; he was named George Alexander Louis and is known as Prince George of Cambridge. The child is now third in line to the throne, behind Prince Charles and Prince William. The Duchess of Cambridge has two siblings: a sister, Philippa (called Pippa, born 6 September 1983) and a brother, James (b. 1987). Pippa was the maid of honor at her sister’s wedding… Kate Middleton’s wedding dress was designed by Sarah Burton of the Alexander McQueen fashion house… Kate Middleton’s parents are the founders of Party Pieces, a mail-order company that (according to its website) “specialises in providing top quality products for children’s parties and delivering them to customers within a few days with a minimum of fuss”… British tabloids nicknamed her “Waity Katie” as her relationship with Prince William stretched on without an engagement… Many sources have called her Catherine since her engagement and marriage. According to the Royal Family’s official website, “Miss Middleton uses both names equally, and she has never expressed a preference for either Catherine or Kate since her engagement to Prince William. Catherine is the name that Miss Middleton grew up with in her family, and Kate is the name that she tends to use in a work context”… Kate Middleton was born at Royal Berkshire Hospital in Reading, according to a 2009 story in The Daily Mail.